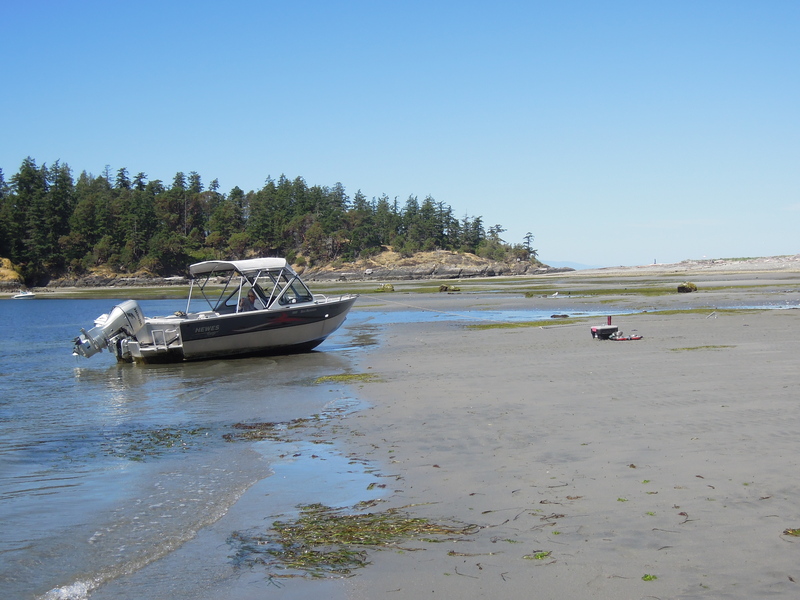 A great day or overnight trip from the Sunshine Coast is a trip to or around Texada Island. 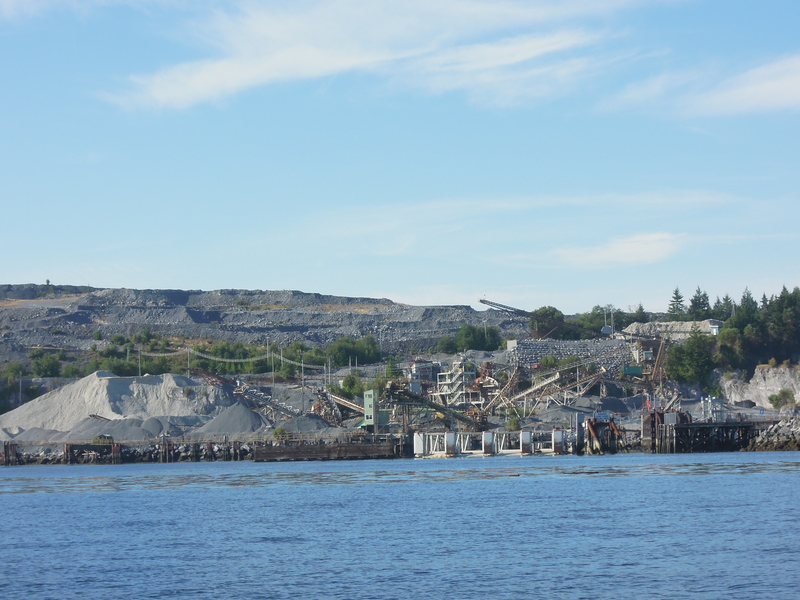 Now we did this trip in July but thought I should get around to a quick post – mostly due to a more pressing issue – the pending use of Texada as a trans shipment facility for coal export. Texada Island is the largest island in the Strait of Georgia. The southern tip is about 10K from Secret Cove. The island is about 50K long and and 10K wide at the widest point. So – we planned for a trip of 150 Kilometres in total. The island still has a few quarries and docks for loading aggregate and stone. This is the Lafarge Dock where it has for many years loaded Texada Rock for shipment. It qualifies as a deep sea port and has recently been approved by the BC Ministry of Mines to load coal for export to asia. This coal will arrive by rail from Montana at the Fraser Surrey Docks where it will be loaded onto barges to Texada, stockpiled and then loaded onto ocean going vessels. The approval for this transhipment comes without any review and oversight by any body other than the Mines Ministry (who approve gravel pits) – no review of transport, land and marine environment, climate or health consequences. 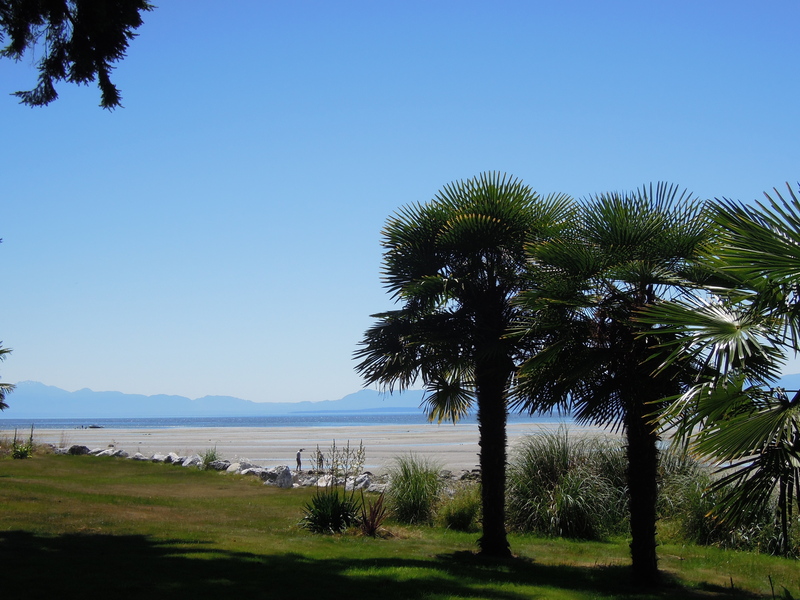 Just a few kilometres from the Lafarge dock is Shelter Point Regional Park. There are no docks but the beach is huge, shallow and sandy. Easy to unload but a 100 meters or more to our tent site. Its a gorgeous site and a popular park. The camping filled up very quickly. Strange think about this huge island is that other than in Vananda, docks for recreational boats do not exist. 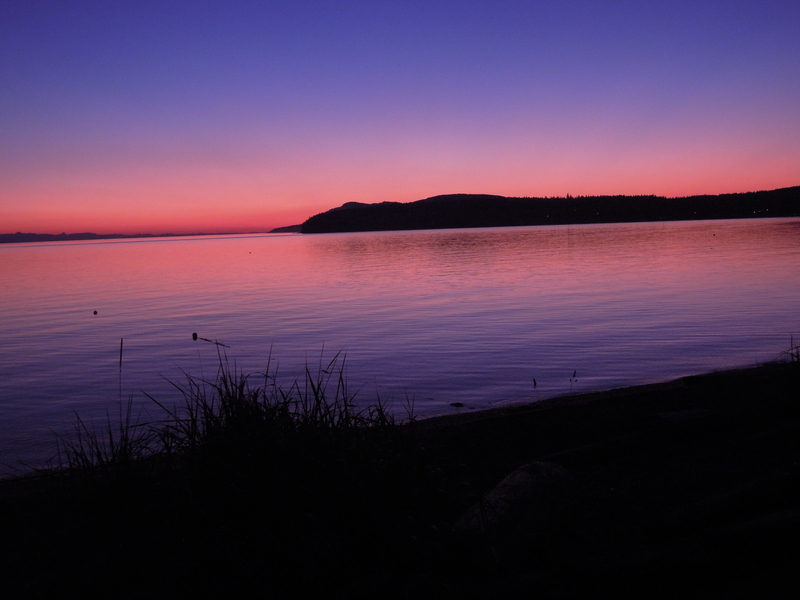 The main settlements are Gillies Bay, Blubber Bay and Vananda. 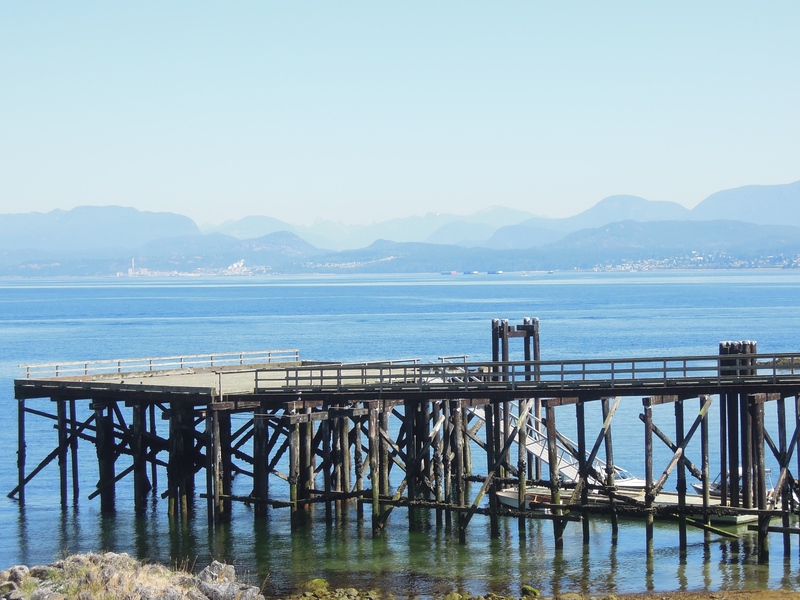 The view from Shelter Point Is almost due west – past the Lafarge docks; and across the Strait toward Comox. Fabulous sunsets but the exposure to the open Strait may be one of the reasons a dock has not survived here. Just around the corner from Shelter Point is Gillies Bay. Its a large bay with a long and very shallow and sandy approach. Again, no docks. We drop the anchor and walk across sand for almost a kilometre to the beach and community. The “Ravenous Raven” is supposed to be a great place to eat, but we we’re too anxious about swimming back with full stomachs and against a rising tide. Finally! A dock! This is the dock at Venanda. Its the old Union Steamship dock, but hasn’t seen any steamship action in a few decades. From here we came to the realization that we’re only about 10K to the Westview Marina in Powell River, directly across the Malaspina Strait. It’s hot and I think I hear the Townsite Brewery calling my name….